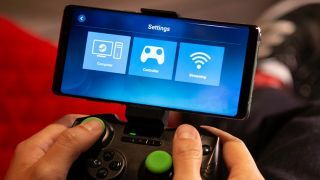 Earlier this month, Valve surprised gamers with the announcement that it was bringing the ability to via a dedicated a mobile Steam Link app. That app was (albeit in beta form) immediately following the announcement, so owners of Google-powered smartphones and tablets can already get up and streaming, and Valve said that the iOS version would follow soon. .